Militarization of civil spaces, which is spreading rapidly from the North to the South, is a way to keep citizens under control. “Oh! grandmother, what big ears you have! Oh! but, grandmother, what a terrible big mouth you have! Under cover of issuing electronic ID cards, the Rajapaksas are planning to place the entire nation under a giant microscope. Sinhala, Tamil, Muslim, Buddhist, Christian, Hindu, pro-UPFA, anti-UPFA, rich, poor, every Lankan will be treated as a potential criminal, to be fingerprinted and kept under close observation, all the time. Since the Department of Registrations of Persons is currently functioning under the Ministry of Defence, the extensive new data-base will be placed under the direct control of Mahinda and Gotabaya Rajapaksa. The near-omnipotent Ruling Siblings will thus become near-omniscient as well, reducing the rest of us to total powerlessness, including inside our own homes. Similarly, the creation of a national persons’ registry will only be a first step. Once the initial plan is in place, the Rajapaksas will keep on adding newer and newer disclosure requirements. In the end, the state will have an absolute legal right to demand any information from any citizen, all the time. Those citizens who are loath to violate their own privacy or to sneak about their family members will be criminalised. 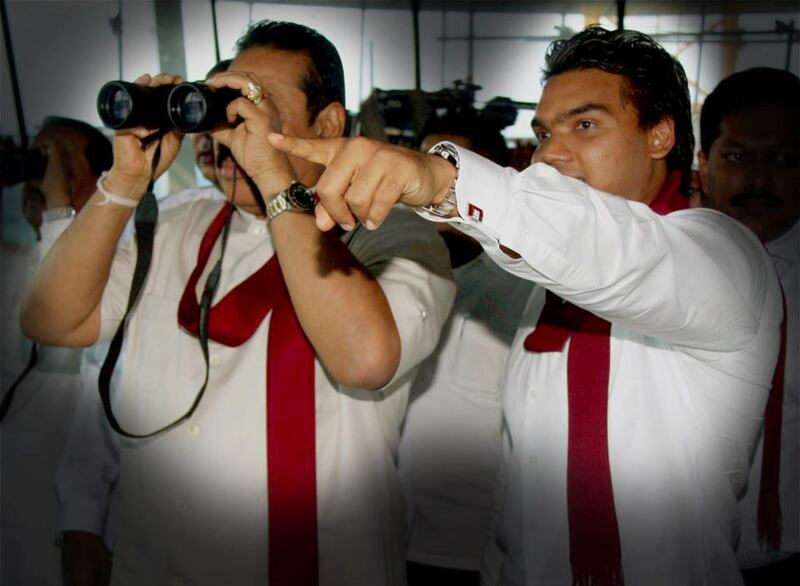 The relationship between the Rajapaksa state and its subjects will become one of political voyeurism, with the Ministry of Defence playing the role of a legal peeping-tom on the nation. In Orwell’s Nineteen Eighty-Four, inner-party leader O’Brien tells Winston Smith, “We have cut the links between child and parent, and between man and man, and between man and woman. No one dares trust a wife or a child or a friend any longer.” In Rajapaksa Sri Lanka too the new laws will require citizens to sneak on their own closest kin. Loyalty and fidelity will be outlawed; and every man and woman will be legally obliged to place obedience to the state above family ties/affections. Again to quote Orwell, ‘Under the spreading chestnut tree, I sold you and you sold me’ will become part of the new Lankan normal. Marx and Engles said, “The proletarians have nothing to lose but their chains. They have a world to win.”[iv]. The obverse is true of the Rajapaksas. They have a world to lose, a world they cannot afford to lose. The Rajapaksa family tree is a parasitic plant which has grown exponentially in less than nine years. Without limitless access to state power and national wealth, this parasitic giant cannot survive. Other political leaders and/or their families could survive without power. The Rajapaksas, through their own extreme rapaciousness, have deprived themselves of that option. They must stay in power, come what may, at whatever cost, to anyone. The Siblings understood the need to create a giant microscope to keep the populace under observation very early on. The idea of electronic ID cards, complete with fingerprints, was first mooted in 2007; the initial plan was to introduce these e-ID cards by September 2008[v]. In early 2009, the Rajapaksas came up with a plan to get all citizens to electronically register with the Ministry of Defence. As the Media Centre for National Security explained, “There is no time limit for registering, but if the response from the public is slow, the authorities may have to enforce registration through the law, perhaps even using emergency regulations”[vi]. Some months later, Presidential Secretary Lalith Weeratunga proposed setting up a ‘spy service’ under the President to curb corruption, “….a mole planted in every state department…working incognito”[vii]. None of these plans worked, mostly due to political, media and societal opposition. The latest effort seems to be a composite of these previous unsuccessful plans; as such it is far more intrusive and dangerous. Even though the necessary laws are yet to be passed, the various parts of the giant microscope have been constructed and are in place. “The Department has already set up 331 regional offices for the data collection process and the necessary equipment too has been provided….”[viii] The finger-printing machines have been bought and distributed and Grama Sevaka Niladharis trained to handle them. The posters are already printed and handbooks distributed. By the time the parliament debates the new enabling laws, Operation Peeping Tom would have become a fait accompli. Carl von Clausewitz described war as the continuation of politics by other means. Rajapaksa governance amounts to a continuation of war by other (political, socio-economic, cultural etc) means. In this war aimed at strengthening and perpetuating familial rule, rights and freedoms of ordinary citizens become nothing more than undesirable clutter – if not dangerous impediments. Sooner or later, any Lankan (including Rajapaksa voters) can become an undesirable, as was demonstrated in Weliweriya. Consequently it makes excellent sense to treat all citizens, blue, green, red or neutral, as potential criminals and to keep them under permanent observation. Winding up the 2012 budget debate, Minister Basil Rajapaksa stated, “Military camps (must be) maintained in all parts of the country in order to accept it as one land”[ix]. Militarization of civil spaces, which is spreading rapidly from the North to the South, is a way to keep citizens under control. So is the new data collection plan. Such information and knowledge will make it easier for the Rajapaksas to control, co-opt or punish opponents; it will also sow fear among ordinary citizens and make them reluctant to oppose Rajapaksa rule. The new Behemoth is almost born. The time to stop it is now.